(San Diego, CA) – If you can’t make it to the AleSmith tasting room in time to pick up our latest specialty release, you’re in luck! A limited number of Vietnamese Speedway Stout 16 oz. cans are now available for purchase at our web store, with the option to pick up or ship to California and Nevada. Price listed is per can, with a minimum of two cans per order. 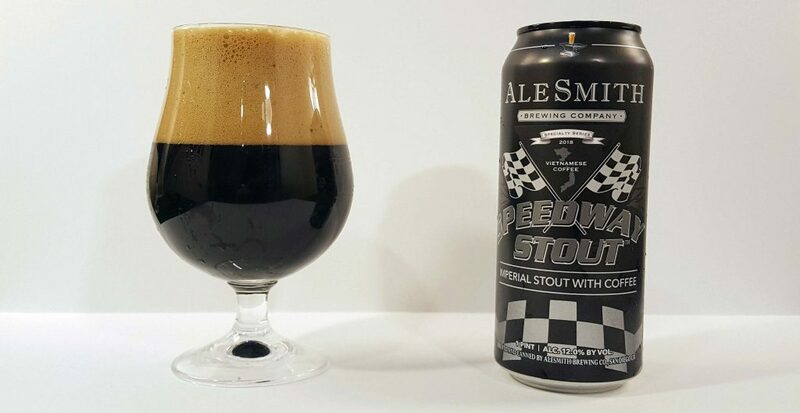 This rare and highly sought-after variation of our Imperial Stout was born out of the 2011 Night of a Million Zillion Speedways event, which has now evolved into our popular Speedway Grand Prix. This beer features the intermingling of four traditional coffee styles – Arabica, Robusta, Excelsa, and Catimor. The coffee blend is then roasted using cocoa, and other natural flavors, resulting in a full-bodied stout with a rich, chocolatey smoothness. There are limited quantities of Vietnamese Speedway Stout 16 oz. cans remaining, so order soon! Forged in 1995, Alesmith Brewing is an artisan microbrewery that specializes in handcrafted ales in a variety of styles. Deeply rooted in the amateur and craft brewing communities. AleSmith ales have continued to garner national and international awards and acclaim, as well as a loyal and rabid following among beer enthusiasts. Is this still available for purchase online?